A dedicated volunteer at the East of England Ambulance Service NHS Trust (EEAST) has received a national award posthumously. Keith Marshall was a volunteer with EEAST for five years, giving thousands of his hours to saving lives as a community first responder (CFR) in the Wattisham group in Suffolk. 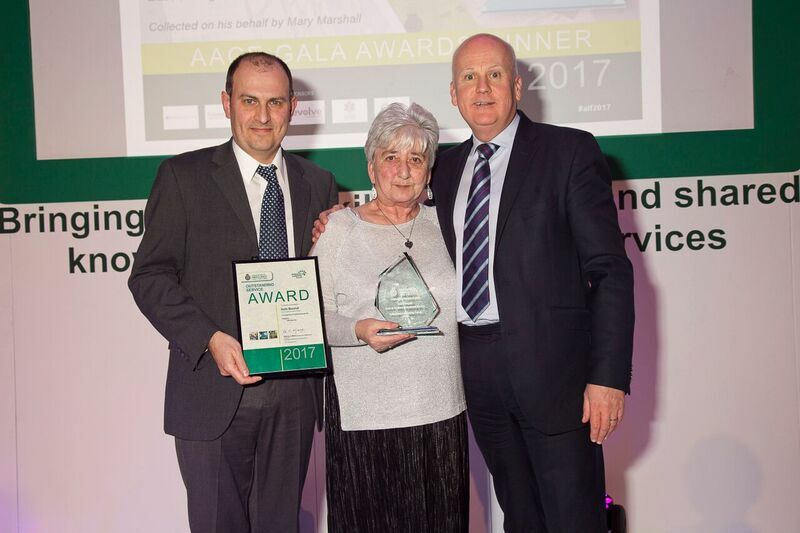 On Tuesday 7 February, on Keith’s behalf, his wife, Mary, received his Outstanding Service Award for volunteering at the Ambulance Leadership Forum awards evening. Keith and Mary established the Wattisham CFR group and sought to raise money and recruit more volunteers to their cause. A year into his CFR role he attended a 999 emergency and suffered a cardiac arrest while attending the patient. Thankfully, Keith was resuscitated and continued to make a positive contribution to EEAST and his community. Following his cardiac arrest, Keith stepped down as a CFR but continued to coordinate and manage the Wattisham CFR group. He also was elected as a governor for the ambulance trust when it was applying for NHS Foundation Trust status. He then joined the trust’s User Group, helping out at events, taking an active role in the Infection, Prevention and Control group and being a loyal advocate for the trust at partnership meetings.